PHS had been working to improve the patient and member experience for many years with variable success; it was faced with renewed urgency to improve the customer experience in order to achieve their mission-critical goals with visible end results. The risks were also growing with public transparency of performance and potential associated payment reductions. PHS leaders recognized that in order to significantly move the needle, they needed to connect with people’s hearts and minds. If the solution were merely a clinical or business challenge, they wouldn’t have needed us, but they knew they had to go deeper. Our relationship with them began by meeting them where they were, taking stock of their organization as a unique ecosystem, and wrapping our expertise around their specific needs. 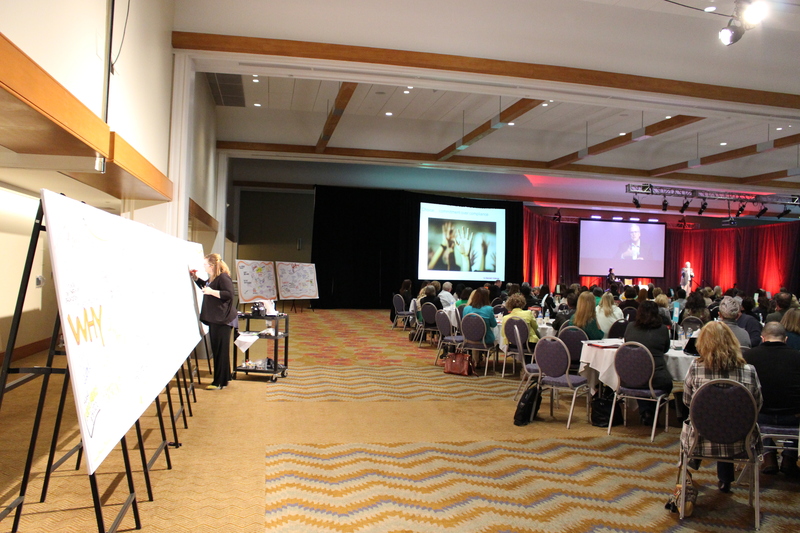 We began pouring over mountains of data and feedback that had already been collected from patients and members. This data was distilled into a ‘voice of the customer’, which served as the basis for the work to come. We held workshops with the top 100 executives to help them understand what customers were asking for and create an aligned set of guiding commitments. 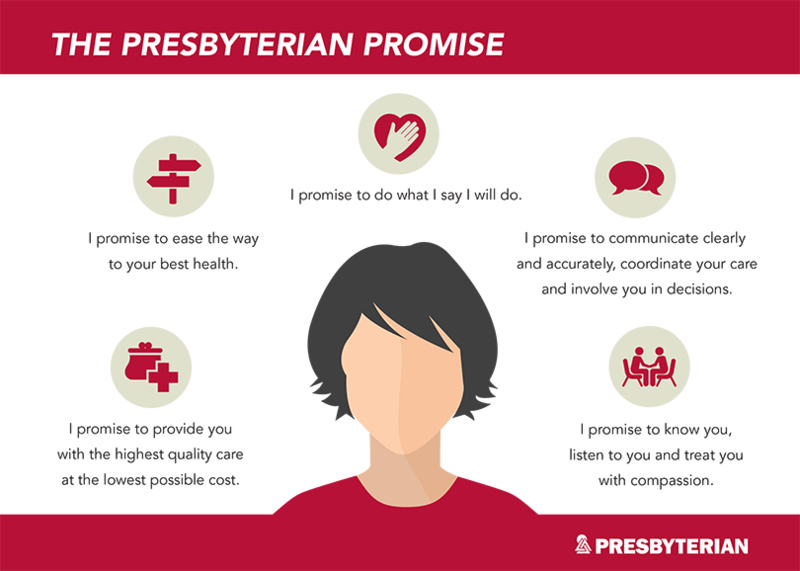 Our crowning achievement for PHS was this set of commitments to the customer, coined The Presbyterian Promise. Once The Promise was created, we learned that workforce members were confused with several sets of expectations and absence of clarity about what was relevant now. To address this we conducted a “clean the closet” activity where the leadership team reviewed past cultural icons and values, to determine which ones would stay or go based on their alignment. Thanks to the clarity of The Promise, the task was easy, proving that The Presbyterian Promise was more than just nice words on a page. It serves as a filter and way to examine old ideas and ensure they helped achieve The Promise. By August of 2016, PHS advanced to a place where The Promise became part of their vision document and reaffirmed CARES Commitments- their refined values. The Promise was designed to build PHS leader capacity to host conversations, align colleagues and help them move forward to deliver The Promise. To work, it had to resonate with its 10,000 employees and not be viewed as the idea of the month. We were asking the workforce to engage differently with their work, and we wanted to reach each person at the level of meaning and purpose. We needed to “do with” and not “do to” or “tell”. 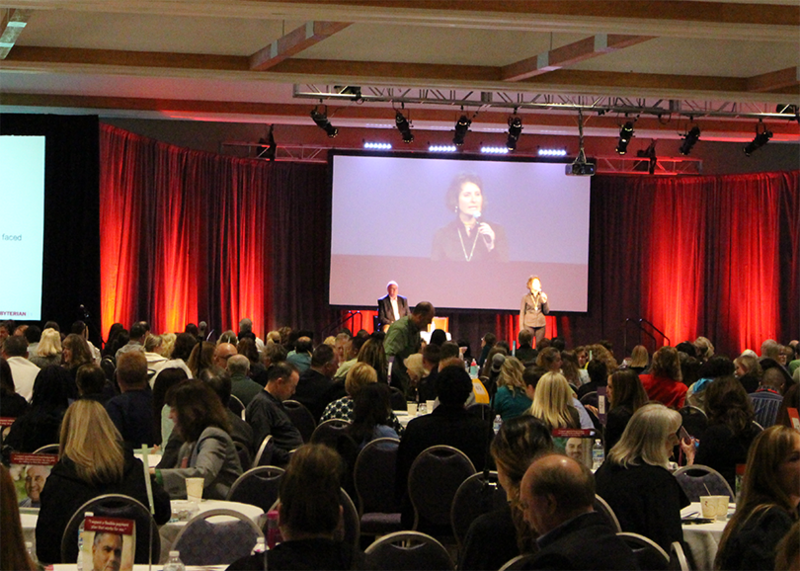 Instead of just presenting The Promise, meetings were designed so that each person got involved in the conversation. Leaders were supported with a cadre of facilitators to deliver conversations to over 9,000 employees through 700 collaborative sessions. Throughout the organization, we asked, “why does your work matter?”. Employees became even more engaged and inspired to care for patients in a way that demonstrated the power of The Promise. PHS has seen progress in its mission-critical goal of improving the patient and member experience in the hospitals and health plan. The nature of conversations within the organization has changed. Leaders are focused on facts, finding intersections in difficult conversations, and asking, “what is it time for now?” Awareness of presence, learning to listen and the impact of leader behaviors on the environment are forefront. The method and approach have contributed to tangible improvements in workforce engagement. In fact, subsequent work in deploying strategy has utilized the approach and methods. Capacity has been built inside the management team in using appreciative coaching skills. “Conversant is a true partner invested in our success. They met us where we were and have given us very practical skills to deploy in the moment to move us forward. Today I go into conversations that I might have avoided before; better prepared. Conversant is unflappable. They ‘locked elbows with us in moving us forward’ and addressed challenges and issues as they arose; true partners and guides in building our capacity as leaders and as an organization. I am grateful for the gift of how to have more productive organizational communications that allow us to be more productive and stronger.” -Kathy Davis, Senior Vice President, Chief Experience Officer, PHS. In fast-moving, highly regulated environments like healthcare, the usual rules of engagement don’t apply. Having a conversation sounds easy enough, but we had to rethink everything we ever thought about timing, setting, and scheduling. Our greatest success with this project was reuniting healthcare workers with the reason they’re in healthcare to begin with; to care for others. We were reminded that it is important to ask the same fundamental questions regardless of industry. Why are you here? What do you hope to achieve? What’s at the heart of why do what you do? It’s imperative to talk to the people on the front lines, the ones who feel problems most acutely. Sometimes, just talking with their representatives isn’t enough to truly understand their plight.